Nice family in Weaverville was complaining about their hard water problem. They brought their free sample test water to our office, and after the test scheduled a install. 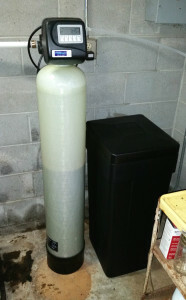 After installing our American made water softener, the customers were very happy with the end result of the softener.